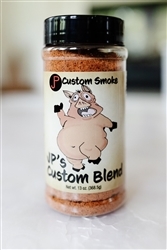 This rub is a proven winner, here is a short list of our awards - 1st Place pork 2011 American Royal Invitational. 1st place ribs 2011 Sams Club Oklahoma. 2009 KCBS team of the year rib champion and 2nd place pork out of 4500 teams. Many other awards from Las Vegas, Alabama, Kansas, Texas, Arkansas Nebraska and Missouri. 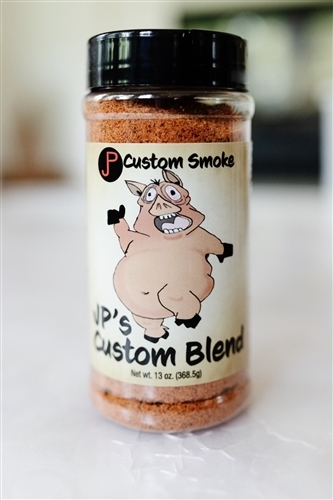 Directions: Generously use JP's Custom Blend award winning spice to enhance the flavor of your beef, pork, chicken seafood and ENJOY. Simply add to your favorite soups, dips and vegetable dishes. WE SAVOR OUR FLAVOR. And now you can too.